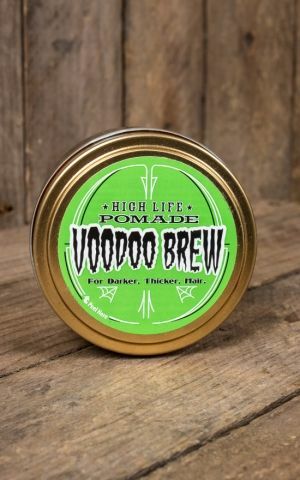 High Life Pomades go back to the well know American tattoo artist Adam. With the creation of his own range of hair care products the artist made his long awaited dream come true. 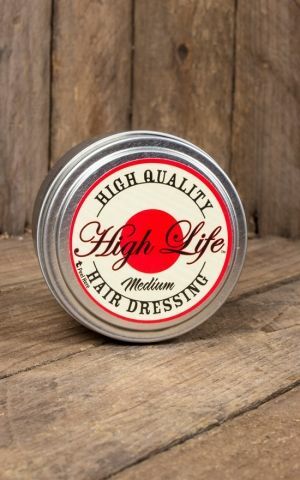 Now, his High Life pomades are distributed by DAX and are a well-established brand within the vintage fashion and styling scene. The stand out feature that makes High Life pomades unique is the use of emu oil in the formula. 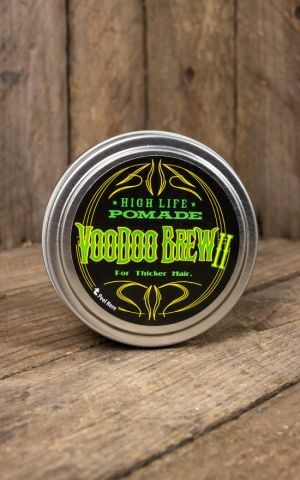 It makes the pomade less greasy and is ideal for 50s hairstyles, especially during the summer. It doesn’t just style your hair; it keeps it well cared too. Both products, the vanilla and coconut scented pomades are perfect for your everyday hairstyle. 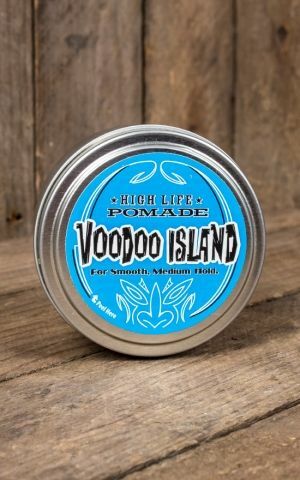 The Vodoo Island pomade provides maximum hold for elaborate hairstyles. 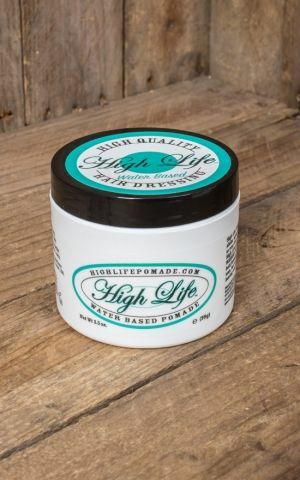 We recommend High Life pomades for experienced users as the product is a little more difficult to wash off. 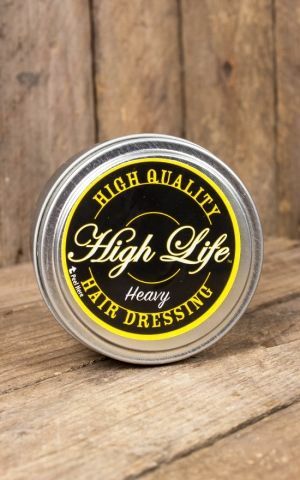 If you are looking for hair grease with perfect hold and delicate scent, then the High Life products are just the ticket. You’ll find all available varieties in our online shop.